Watersheds Capital Partners Limited ("we", “us”, “our”) are committed to protecting and respecting your privacy. For the purpose of the Data Protection Act 1998 (“the Act”), the data controller is Watersheds Capital Partners Limited of The Old Granary, South Bridge Road, Northampton NN4 8HP. Details of your visits to our website at watersheds.ltd.com (“our website”), including, but not limited to, traffic data, location data, weblogs and other communication data, whether this is required for our own billing purposes or otherwise and the resources that you access. If you contact us, whether through our website or in any other way, we may keep a record of that correspondence. We may keep information we learn about you from your use of our services and your visits to our website and other sites accessible from our website. We may collect information about your computer, including where available your IP address, operating system and browser type, for system administration and to report aggregate information to our advertisers. This is statistical data about our users' browsing actions and patterns, and does not identify any individual. All information you provide to us is stored on our secure servers. Unfortunately, however, the transmission of information via the internet is not completely secure. Although we will do our best to protect your personal data, we cannot guarantee the security of your data transmitted to our website; any transmission is at your own risk. Once we have received your information, we will use strict procedures and security features to try to prevent unauthorised access. In the circumstances set out in this policy where we pass your information to a third party, we will ensure that the security measures that such party has in place in relation to the processing of your data are at least as stringent as those employed by us. This does not apply where we are required by law to pass your information to a third party. To provide you with information about our services that you request from us or which we feel may interest you, where you have consented to be contacted for such purposes. We will use your information to provide our services. We will also use your contact details to communicate with you. We may use your information to send you information about our services which may be of interest to you and we may contact you about these by post, email, telephone (including SMS) or fax for these purposes. Your data may be used for the following purposes: accounting, billing and audit, credit or other payment card verification and screening, immigration and customs control, safety, security, health, administrative and legal purposes, statistical and marketing analysis, systems testing, maintenance and development, customer surveys, customer relations and to help us in any future dealings with you, for example by identifying your requirements and preferences. We like to hear your feedback to help us improve our services. We may contact you from time to time by post, email, telephone or fax to ask for your opinions. There may be instances where it may be necessary to communicate with you for administrative or operational reasons. We may also use and analyse the information that we collect so that we can administer, support, improve and develop our business. In order to understand how our customers interact with the emails and the content that we send, we use pixels in the email in order to understand who has opened the message. In order to provide our content in the most interesting way, we may also use pixels to learn whether you can receive emails in text or html form. 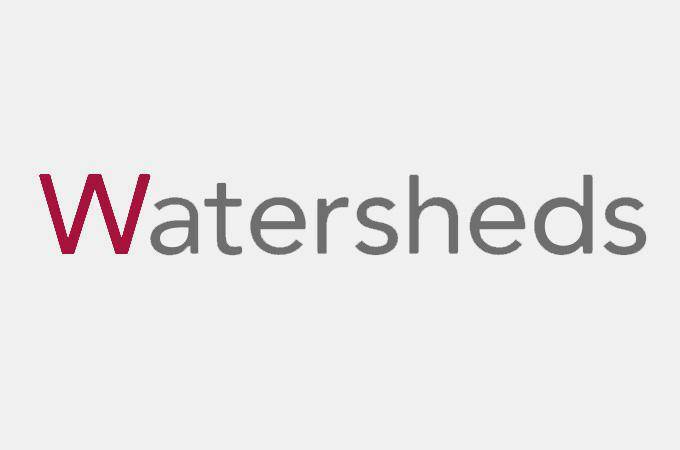 If Watersheds Capital Partners Limited or substantially all of its assets are acquired by a third party, in which case personal data held by it about its customers will be one of the transferred assets. If we are required to do so by government authorities or enforcement bodies for the purposes of ensuring compliance with any and all applicable legal and regulatory obligations. You have the right to ask us not to process your personal data for marketing purposes. We will usually inform you (before collecting your data) if we intend to use your data for such purposes or if we intend to disclose your information to any third party for such purposes. You can exercise your right to prevent such processing by ticking certain boxes on the forms we use to collect your data. You can also exercise the right at any time by contacting us at Watersheds Capital Partners Limited, The Old Granary, South Bridge Road, Northampton NN4 8HP. Our website may, from time to time, contain links to and from the websites of third parties where we consider that this might be of interest or use to visitors to our website. If you follow a link to any of these websites, please note that these websites have their own security and privacy policies and that we do not accept any responsibility or liability for these policies. Please check these policies before you submit any personal data to these websites.